Police Speaks Out On The Arrest Of A Ugandan Female Drug Trafficker In Dubai. The Uganda Police Force have confirmed that they are ready to investigate circumstances under which a Ugandan woman was found in possession of drugs at Dubai airport. Police Spokesperson Fred Enanga told press, that over the weekend, they got information about a luggage that had been intercepted by Dubai authorities from a Ugandan woman only identified as Shaniz Kartel. “Of course we have to respect the laws of Dubai where she was arrested. Well, she may be a victim of circumstance, but we may not rule out the issue of negligence on her side. We want to establish the person whom Vegas sent to bring the consignment to Shaniz before she left Entebbe airport and how this happened without our security discovering there were drugs inside.” Enanga said. Police says, Shaniz case should be an eye-opener to all Ugandans who go to the airport that it is very risky to help carry anyone’s luggage whose contents you are not aware of. “Through our Anti-narcotic department, we shall go back into the system and check to ascertain who gave in the luggage, who checked it, when and how it left the airport without noticing there were some drugs inside.” Enanga added. 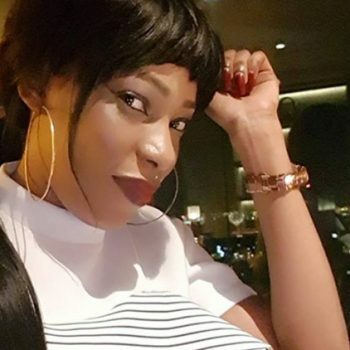 According to an audio said to be recorded by Shaniz, it is alleged that as she was going back to Dubai from Uganda, one Samson Kyamaggwa alias ‘DJ Vegas’ asked her to bring him some Matooke, not knowing that inside the luggage, they had placed some drugs. Upon reaching the Dubai airport, authorities intercepted the luggage and apprehended her as well. Shaniz is one of the self-styled city socialites with a record of spending money whenever she jets into the country.